Happy Snail Skincare Sunday - you know I love any korean beauty products that come with snails! Put it on mah face right away!!! 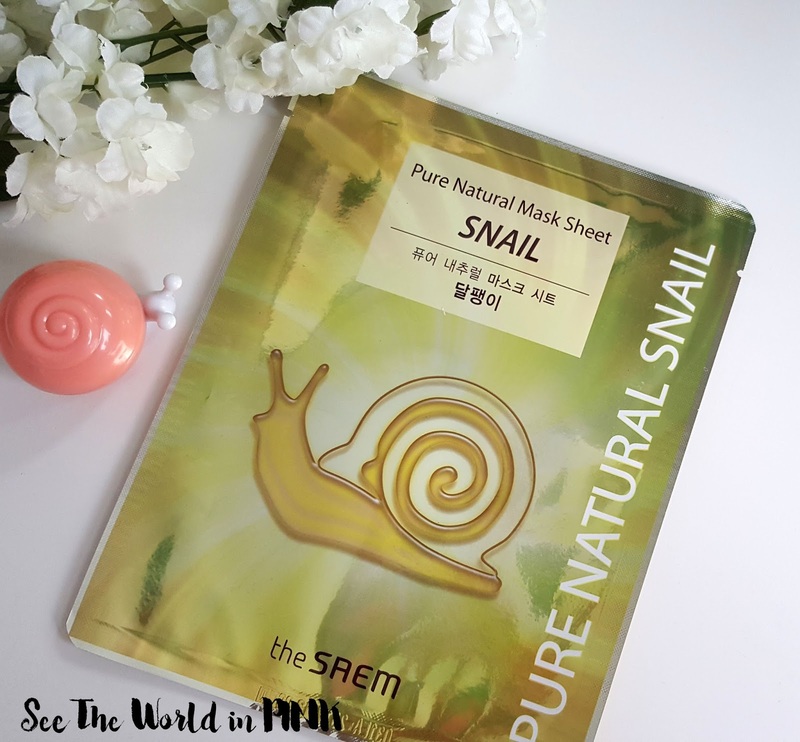 The Saem Pure Natural Mask Sheet "Snail" ~ $4.90. Mask sheet for intense and effective moisturizing with snail mucin. What else can I say about this mask except for snails?! Snail goo is packed full of nutrients and it is known for it's anti-aging, moisturizing, soothing, healing and brightening properties! 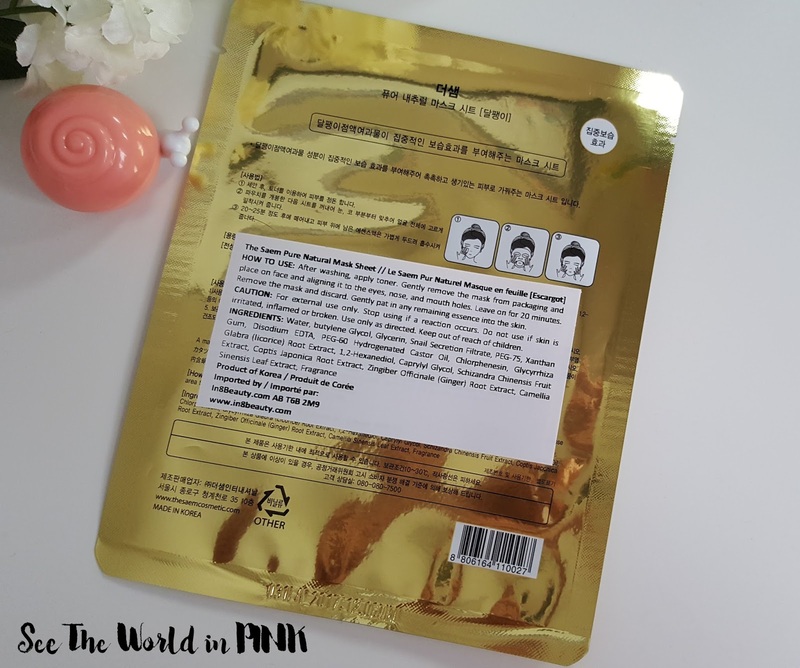 This mask is straight-forward and easy to use - wash face, tone skin, apply mask to face, wear for 20-25 minutes and remove, pat remaining essence in to skin, and complete skincare routine. This mask fit decent on me - it also came with lots of tabs along the sides to fit better to the face. This mask was well soaked in essence and lasted for about 40 minutes on my face. 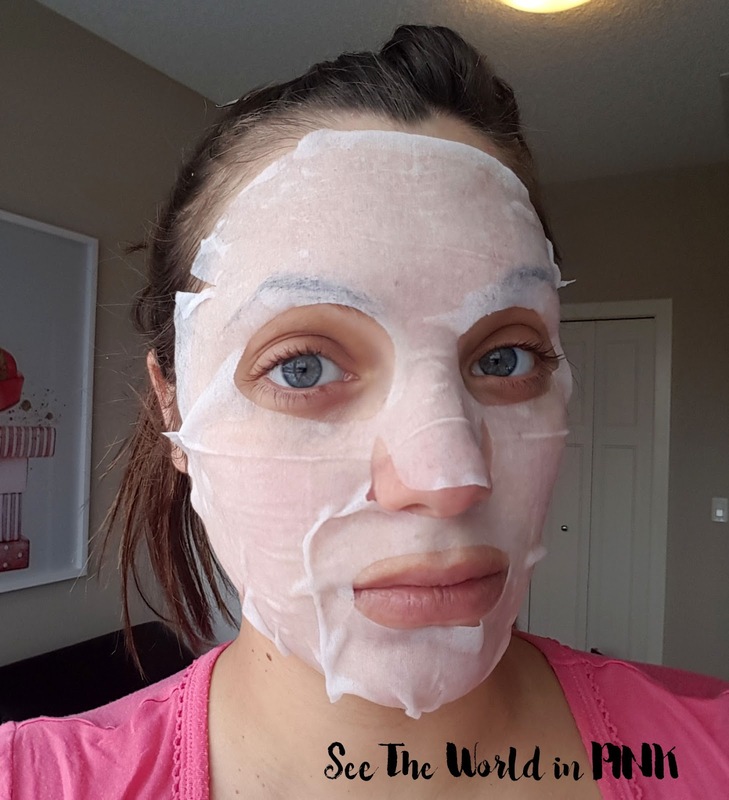 I loved how this mask made my skin look and feel after using it - it was so hydrated and moisturized all day! It brightened and improved the overall appearance of my skin! So as usual, snails for the win! I really liked this mask! Have you guys tried this mask before? And, have you tried the snail goo in your skincare routine yet?